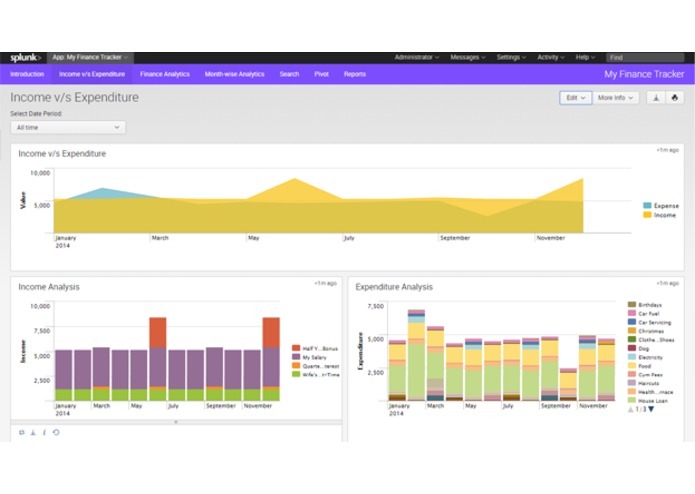 ‘My Finance Tracker’ allows a Splunk® Enterprise administrator to monitor the Finances and Financial Transactions of the company or an individual. 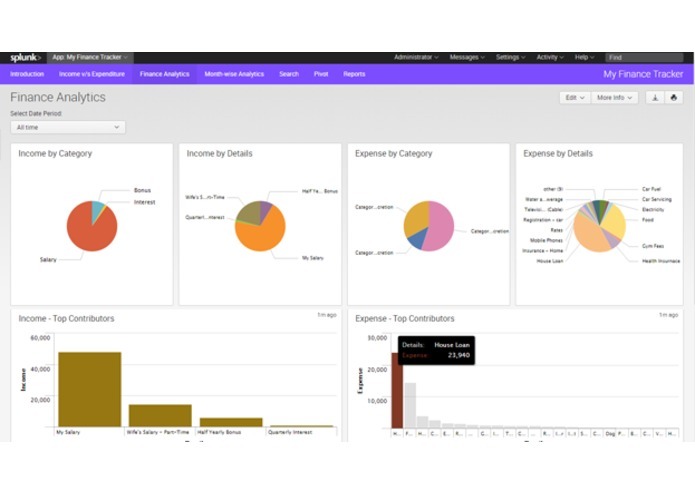 Use My Finance Tracker to keep a track of your or your Enterprise’s Finances and make informed decisions! With the advances of technology and Big Data Analytics, it is now easy to keep a check on your finances. As easy as 1-2-3..! Keep a track of you or your Company's Finances in an Excel or Take an Export from your Finance Reporting Tool. Categorize them into Income / Expenditure. Categorize Income into various Types: a. Salary - Your fixed Salary (in case of personal use) or Sale (in case of company); b. Interest - Any Interest which may or may not be a steady income source; c. Bonus - Any Extra Income is always welcome! Also, further categorize Expenses into 3 Types: a. Category A - Which are inevitable; b. Category B - Which may not be entirely avoidable. But can have a bit of discretion! ; c. Category C - Which can be avoided with reasonable discretion! Provide Details on Amount Spent / Earned / Received. Save the Excel as CSV and Load into Splunk as per the format with sourceType = ‘FinanceTracker’ or place them in the Directory which Splunk is monitoring. 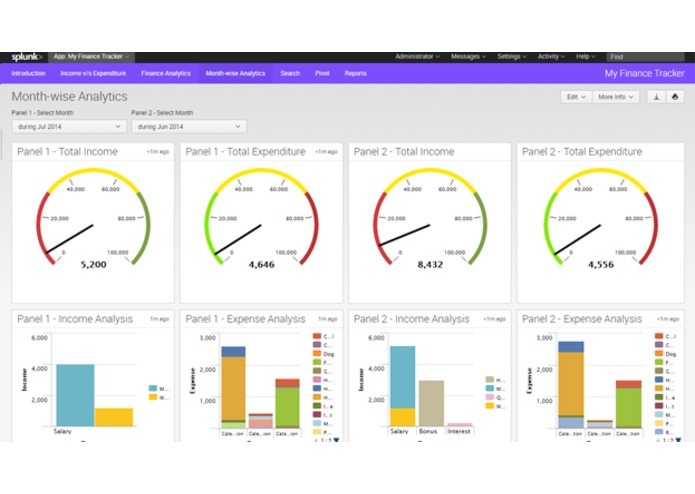 Build up quick charts, pivots to analyse the finances and take control! Automate Input Formats of Financial Management softwares used across the Industry. For personal use, user can import his daily expenses and incomes into this application to understand what are his income sources & spending buckets and based on that, he can determine where he stands each month financially. By studying our expense patterns, we can gain insights on where we can put in cuts in order to save effectively as well. We can also understand what sort of Expenses can be curtailed, where we can increase our income sources & savings, etc. Similarly, at an Enterprise level, the company can keep track of their day to day expenses and incomes and see how the company is performing every month, every year and so on.